"Absolutely Hilarious ... A Fascinating New Kind Of Dinner Theatre Experience!" Very reasonable fee for the Fun Family Show. 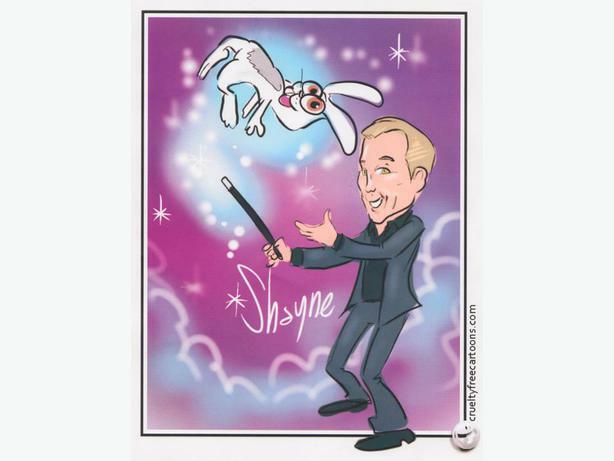 Shayne King - The King of Magic. No travel fees for small business or corporate performances. A long time member of the Victoria Magic Circle (International Brotherhood of Magicians Ring 183) and 3 time International Award Winner. Since moving to Victoria BC in 1998 Shayne has become one of western Canada's leading specialists at interactive sleight-of-hand, involving the audience as the magic happens right under their noses and even in their own hands. His stand up/stage show is widely regarded as one of the most baffling and funniest around. Shayne's credits in a career spanning over 25 years of performances Canada wide include performances in Cabarets and Nightclubs, private and corporate Banquets as well as Restaurants and High School Dry Graduations.